A weasel so nice they named it twice (Meles meles), European badgers are popular figures in the mythic and cultural identity of Great Britain. They are also carriers of bovine tuberculosis, and are the targets of a much-debated cull to protect farmers and livestock. Britain is considering a “cull” of the badger population in Gloucestershire and Somerset, regions in southwestern England. Do students know what a “cull” or “culling” is? Why do they think the media (including the British government and National Geographic News) use this word instead of a more-familiar one? A cull is the removal of certain breeding animals from a group. This almost always implies killing the removed animals. The British cull would involve killing 5,000 badgers from the Gloucestershire and Somerset regions. People often use gentler more scientific words for difficult concepts, such as death. Can students think of other synonyms or metaphors people use for killing animals? Many veterinary clinics and animal shelters use the metaphor “put down” for euthanizing animals. The largest urban areas in Gloucestershire and Somerset are Gloucester and Taunton. Find those towns on our MapMaker Interactive focused on southwestern Great Britain. Turn on the “Land Cover” layer found in the “Environment and Society” theme panel. 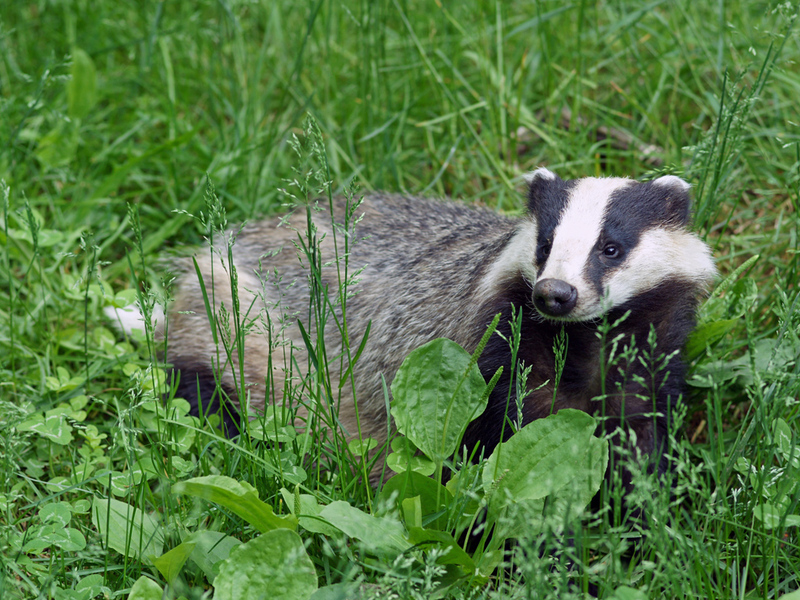 Can students guess why Gloucestershire and Somerset are popular areas for badgers? Gloucestershire and Somerset, like most of western Britain and Wales, are dominated by wooded grasslands. This mix of grassy glades and sparse forests is ideal badger habitat. According to the Nat Geo News article, bovine tuberculosis is not a serious health threat to people. Why do students think farmers and the British government support a massive badger cull to prevent bovine tuberculosis? It’s a serious economic threat. Farms with infected cattle are shut down until the infection is cleared. This can take months, costing the farmer and surrounding community thousands or even millions of dollars (or, rather, British pounds). Bovine tuberculosis is not a serious health threat, but people who work around infected cattle may still catch the potentially fatal disease. Bovine tuberculosis is also a threat to deer, dogs, cats, horses, and goats. One farmer who supports the cull says “we wouldn’t be having any of this nonsense if this was about culling rats.” Do students agree with this? Why or why not? The Nat Geo News article quotes cultural anthropologist Sean Carey. He says debate is “a split between town and country. The townie has a romanticized version of the badger, which has a privileged place in English literature. Mr. Badger in The Wind in the Willows is an outsider but has heroic qualities. The country farmer, on the other hand, prides himself on realism. It’s a case of ‘let’s get rid of the sentiment and get practical. '” Can students think of a similar debate in the United States? Are there wild animals that are romanticized by “townies” while considered a nuisance in “the country”? Many. The debates surrounding the culling of bison, coyotes, wolves, and wild horses in the western U.S. are very similar to the badger debate in England. (The horse is an introduced species in the Americas, but all other animals are indigenous, often keystone species.) Just like the badger, these animals have mythic and cultural qualities associated with them, and play a part in regional and national literature. They are also threats to ranches and farms—preying on livestock, competing with livestock for food, carrying diseases. Good thing the cull would be conducted by marksmen, and not the method started back in the 1600s — hunting with fearless Dachshunds to dig into badger burrows!